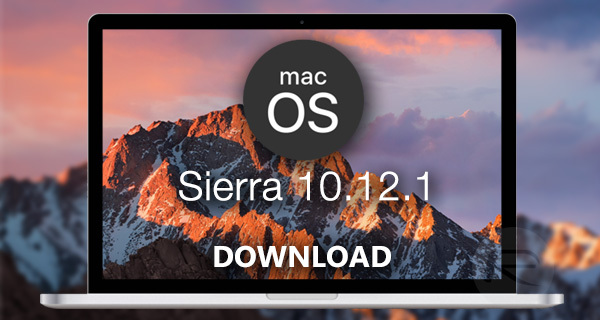 You can now download the final version of macOS Sierra 10.12.1 for all compatible Macs. Here’s everything you need to know. Ahead of Apple’s dedicated Mac event, the company has today announced the immediate release of macOS Sierra 10.12.1, which comes after a fairly lengthy beta testing period, and continues to push the capabilities and fluidity of its desktop platform. The availability of macOS 10.12.1 may look fresh and new to those downloading the update via the Mac App Store, but we on the inside know that it has made its way into the public domain after a beta testing period that has witnessed five pre-release seeds being pushed out to both developers and public testers. That process, which Apple always puts in place for all of its software-based platforms, means that a fairly significant and passionate testing community can ensure that the software is fit for purpose. One of the main feature integrations into the platform falls in line with the amendments made with iOS 10.1. It now means that Macs running macOS 10.12.1 are now capable of offering support for Portrait mode photos shot on iPhone 7 Plus using the innovative iSight-Duo camera system. Of course there are also the obligatory bug fixes, security patches and performance enhancements that not only ties any new functionality together and ensures that it plays nicely with the existing platform, but also guarantees the best user-experience possible. In addition to supporting all of Apple’s existing Macs, macOS 10.12.1 of course supports the new hardware that will be announced during the “hello again” event. That means anyone looking to get a new refreshed Mac in their life will be able to immediately interact with support for the new Portrait mode, as well as benefit from the fixes and patches that form part of this latest update to the macOS roadmap. As always, anyone with macOS Sierra installed on their Mac can head on over to the Mac App Store and download it immediately. The OS will be installed as an over-the-air update, instantly bringing all of the changes and improvements to the installed machine. Of course, anyone who is yet to install macOS, can grab 10.12.1 as a free download from the same Mac App Store. When I visit the app store, I see only 10.12 – not 10.12.1. Do you have a link showing where I can download the final 10.12.1 as a complete installer? That’s what I’m looking for too. What I downloaded from the App Store today turned out to be the September version: 10.12.